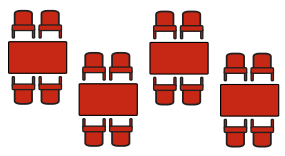 Our unique conference and meeting rooms provide distinctive, individual and functional spaces for conferences, meetings, workshops or events. 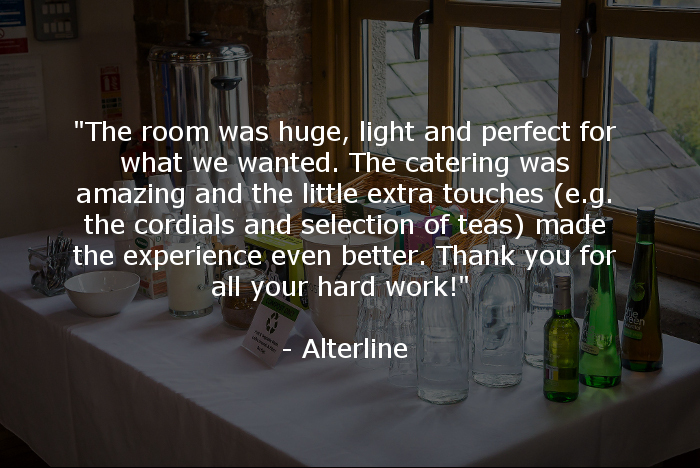 We pride ourselves on our customer service and we will work with you from planning through to delivery, to ensure that your event runs smoothly. 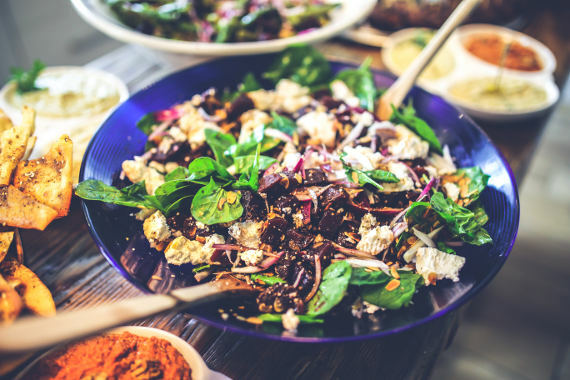 At Bridge 5 Mill we aim to showcase delicious, healthy, local, sustainable food, as such our event catering is vegetarian or vegan. The caterers we work with not only provide mouth-watering food, their businesses also share our values, and are either social enterprise arms of charities or workers co-operatives. Please note weekday minimum order is 10 people. For the minimum spend at weekends, please contact us for more information. Selection of Sandwiches Wraps and rolls. We also offer a number of ‘sharing boards, for light lunches and drinks receptions, salads, breakfast pastries, fruit baskets, snacks and delicious cakes! Contact us for our full menus. 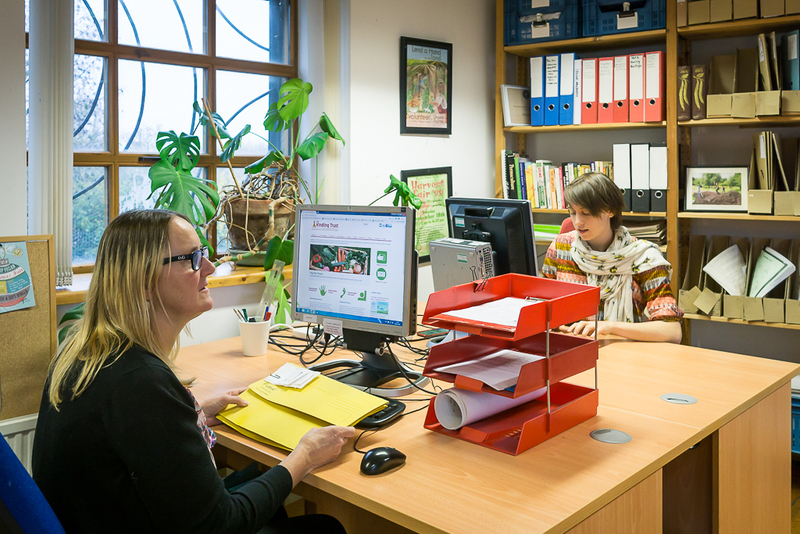 We understand that small charities and campaign groups need to keep their costs down. You are welcome to hold a ‘bring and share’ event or bring your own food. In some cases we may agree to you using your own choice of caterer. We request that in line with our food policy all food consumed in the mill is vegetarian. 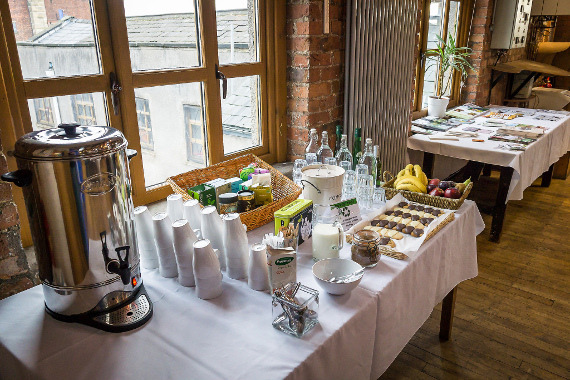 A hot water urn, mugs, plates and cutlery can be hired at £1 per head. The loft space on the 4th Floor of Bridge 5 Mill is spacious, warm, well-lit with sky lights in four directions and window in three directions. 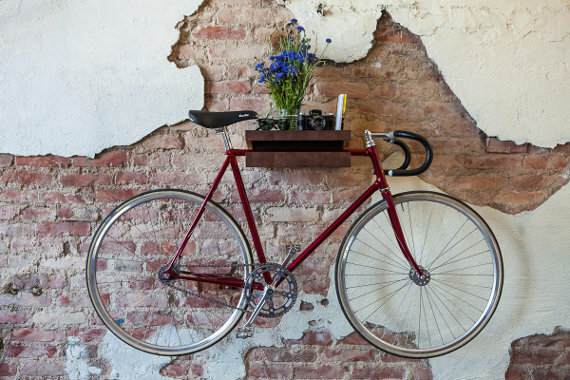 The natural materials, of wood and brick create an ambience of calm. We spent the whole day there and having arranged and been involved in service away days for 8 years this is by far the best room for 40 + people we have ever used. Opening times Monday to Friday 9am to 5pm. (Except bank holidays and between Christmas and New Year). From Manchester Piccadilly Train station you can walk or cycle to Bridge 5 Mill along the Ashton Canal towpath. It takes just 15-20 minutes to walk or 5 minutes to cycle to get to us. Cycle racks are situated on the right hand side of the garden. Single yellow line parking in front of the building: No Parking: Mon – Fri 8am – 6pm & Sat 8am – 12.30pm. Parking allowed: Saturday afternoon & Sunday. 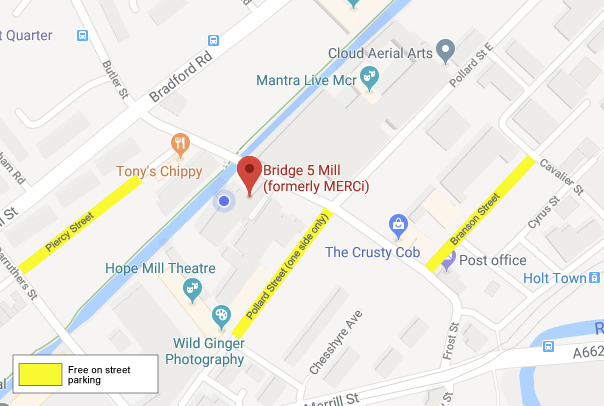 Please Note the car park behind Bridge 5 Mill does not belong to us, if you park here you may get locked in and we do not have keys to the gate! a) If cancelled more than 3 weeks prior – no charge. b) If cancelled within 3 weeks of the date – 50% of the total sum payable is due. c) If cancelled within 2 weeks of the date – 75% of the total sum payable is due. d) If cancelled within 1 week of the date – Full payment is due. In all instances, notification of cancellation must be made in writing and will be effective on the date received by Bridge 5 Mill. 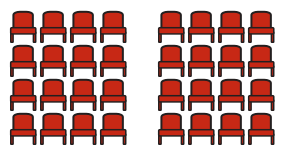 Our versatile Conference Room has capacity for up to 100 people. It has light streaming in through skylights and large windows on three sides. 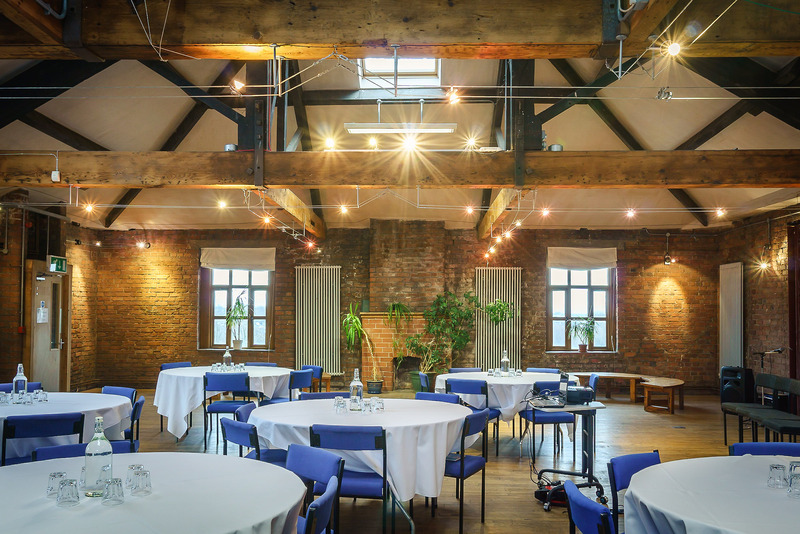 The ceiling is high and oak beamed, the walls are the distinctive red brick of Manchester mills, and the recycled wooden floor was once to be found in a school gym! All combine to give the space a warm and friendly feel. Prices vary for out of hours and weekends, please get in touch! 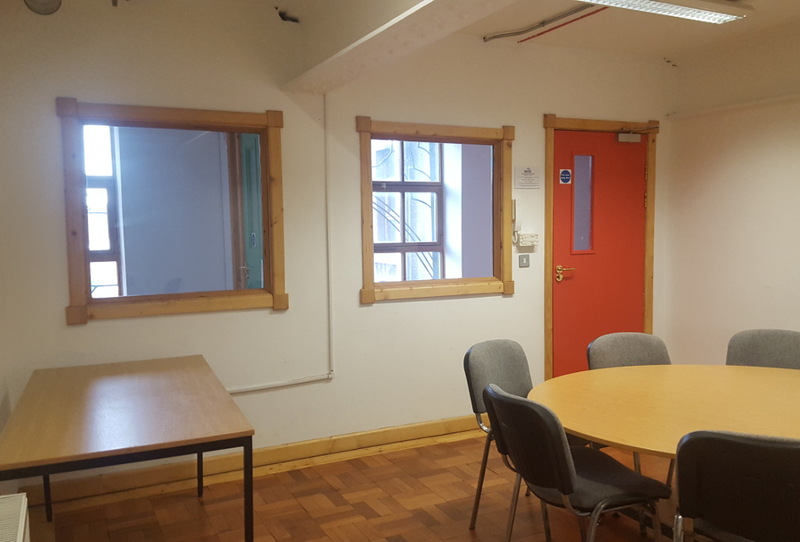 One side of this room looks out over the Ashton Canal. During the Spring and Summer boats pass slowly by the windows. 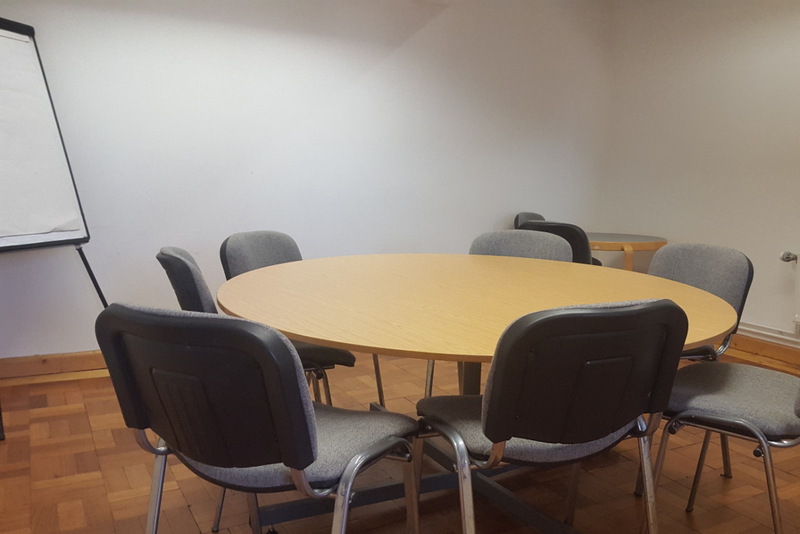 It is perfect for workshops, training sessions and larger board meetings. 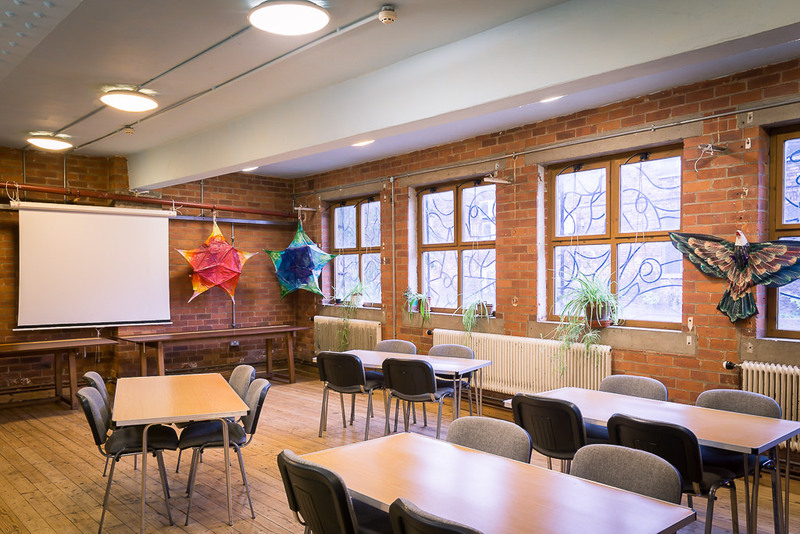 Our small meeting room with its reclaimed parquet flooring and passive ventilation is perfect for one to one meetings, and meetings of up to 8 people boardroom style. For out of hours bookings, please get in touch for prices and availability. 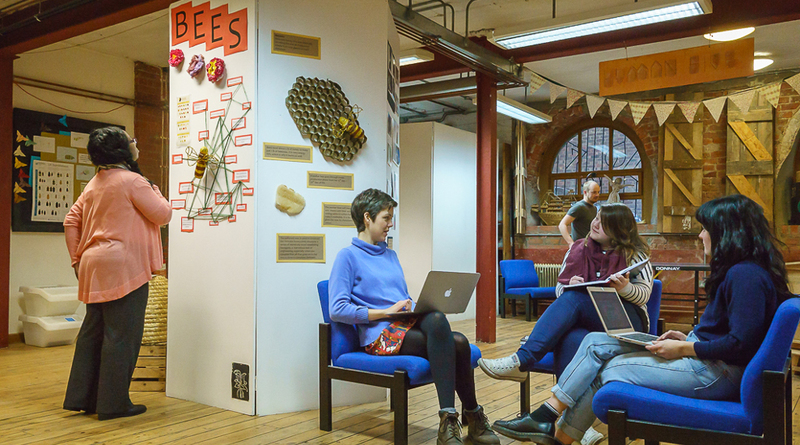 Our Exhibition Space is a casual meeting and relaxing space which features exhibitions throughout the year. 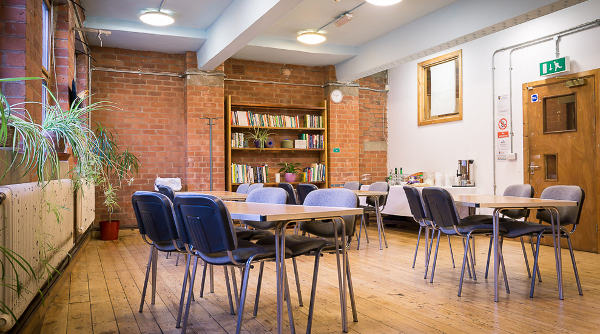 It also forms the perfect backdrop to lunch, or for use as a breakout space for conferences. 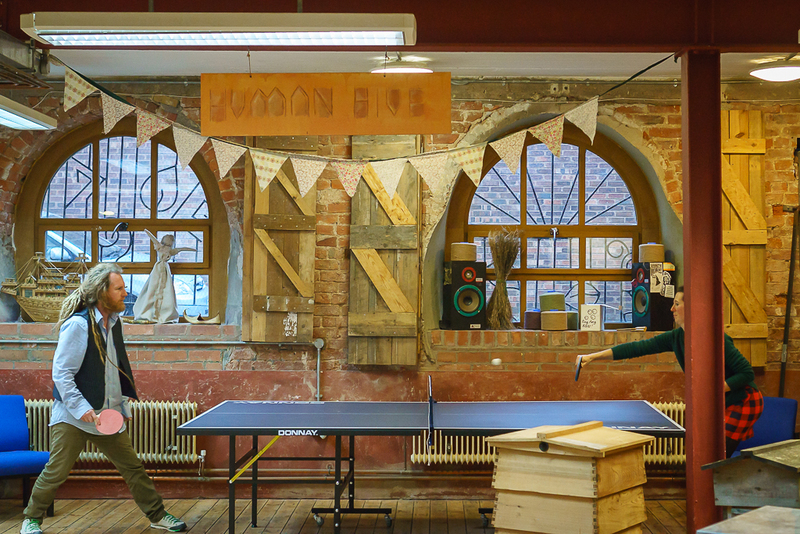 The table tennis table and hammock can be removed so that your conference guests do not get distracted! Due to the unique style of this room the capacity and price varies depending on the use. Please get in touch with us for more information. Want To Exhibit With Us? 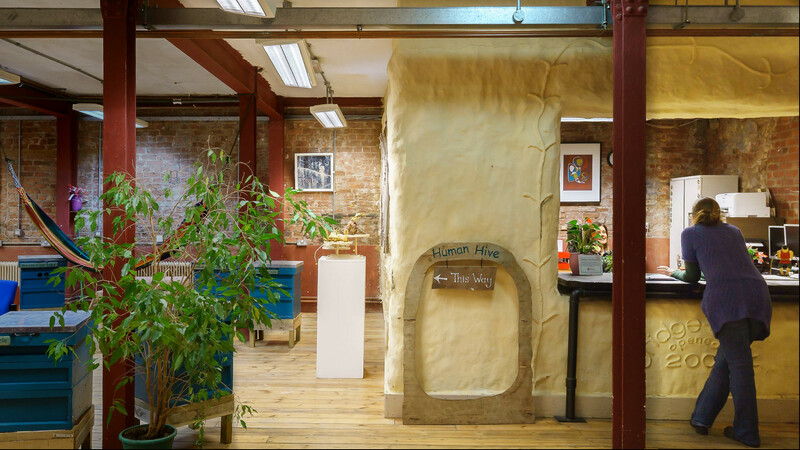 We are always interested to hear from artists and crafts people who would like to exhibit their work in our Exhibition Space, particularly if it has an environmental, local or social justice theme. 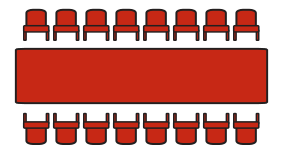 Exhibitions are free or low cost to the exhibitor, Monday – Friday, 09.00 – 17.00. If the exhibition is to be open at weekends there may be a staffing charge. 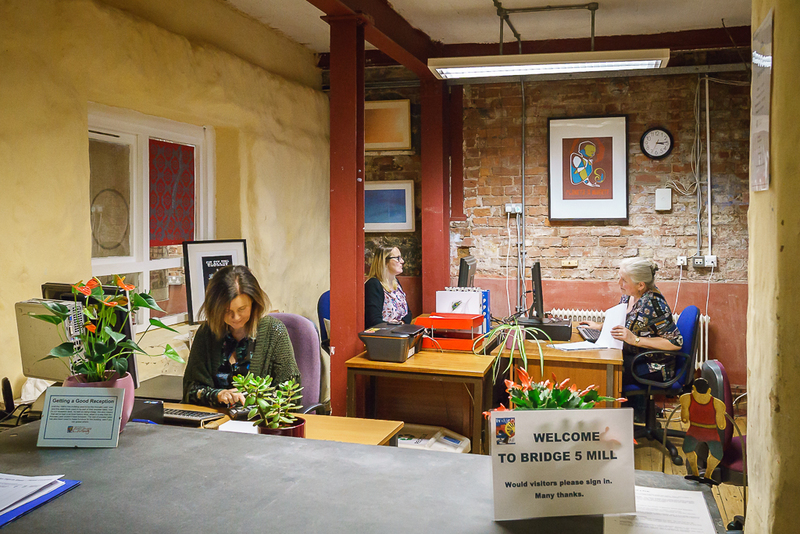 If you would like to hold your exhibition at Bridge 5 Mill please do get in touch with Michelle on 0161 273 1736. 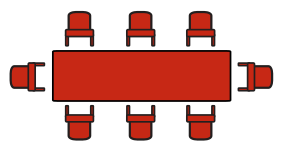 Due to the unique style of this room the capacity varies depending on the use. Please get in touch with us for more information. 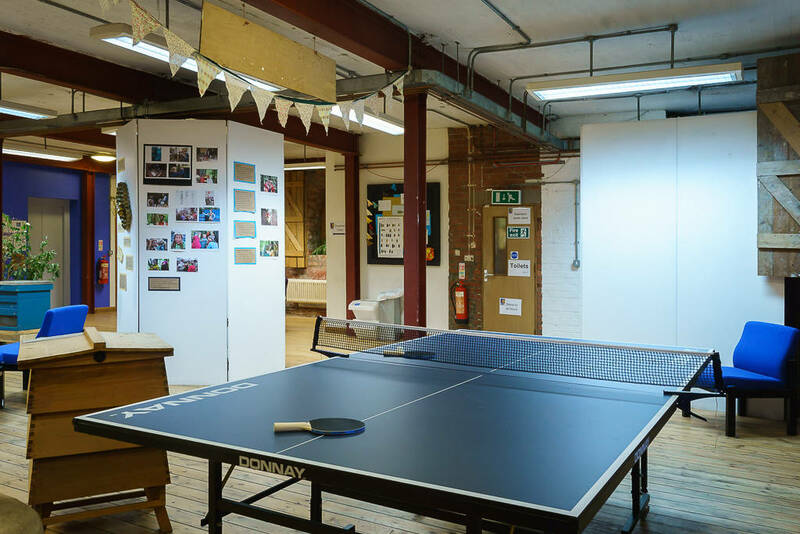 Our building has a community feel and we encourage our tenants to get to know each other and to collaborate on projects. We also hold social and networking events, such as our Summer barbecue and regular drinks and games nights. 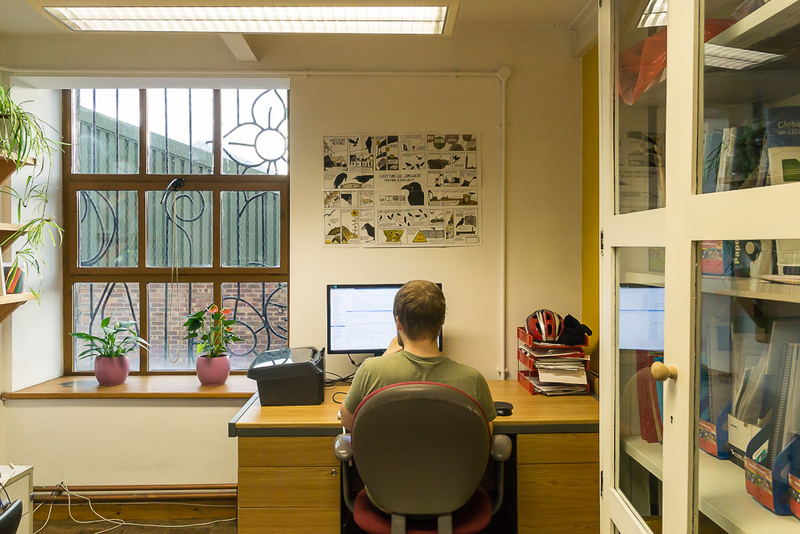 Our Reception is open weekdays from 09.00 – 17.00 to greet your guests, take delivery of postal items and offers printing and equipment hire or loan. 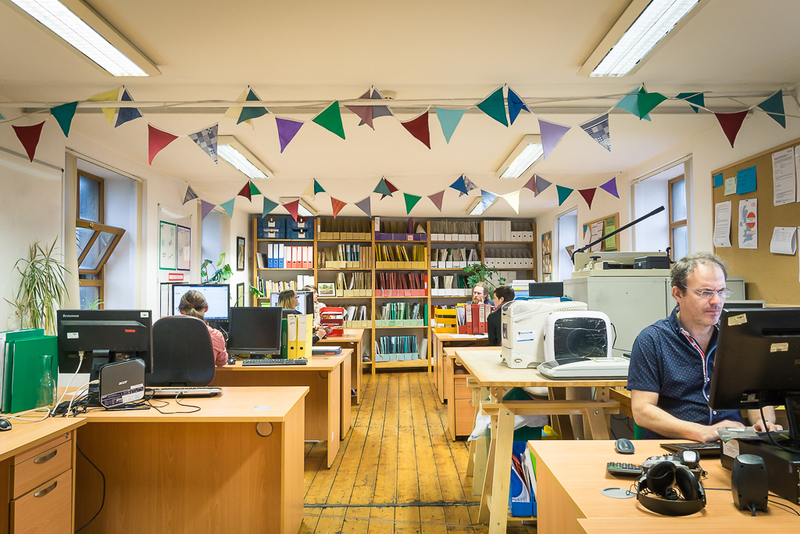 Our tenants share our values and our ethos and work in the areas of people and planet. 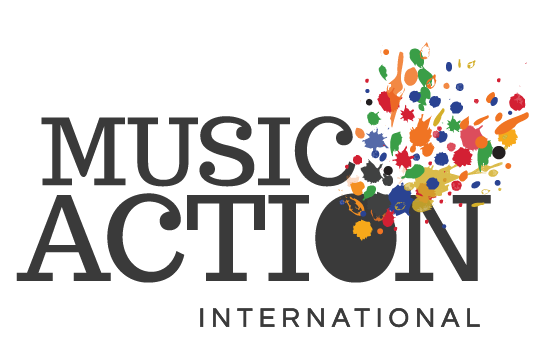 They are charities, campaign groups, cooperatives and small businesses. If you think that your organisation or company would like to be part of a value driven and friendly community get in touch! Our welcoming reception is open weekdays from 09.00 – 17.00, to greet your guests, take delivery of postal items and lend you equipment. Our staff also have a wealth of useful knowledge such as; taxi numbers, local information and what’s happening in the area, if you need that too. 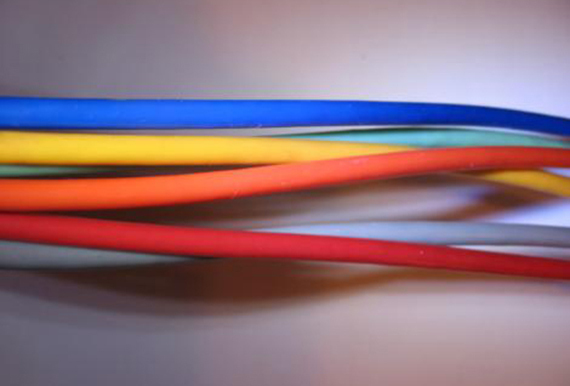 Bridge 5 Mill is connected to superfast fiber broadband; we also have an on-site IT technician who can offer you technical support. All tenants can have their own set of building keys, giving them 24/7 access to their office once they are key and alarm trained. 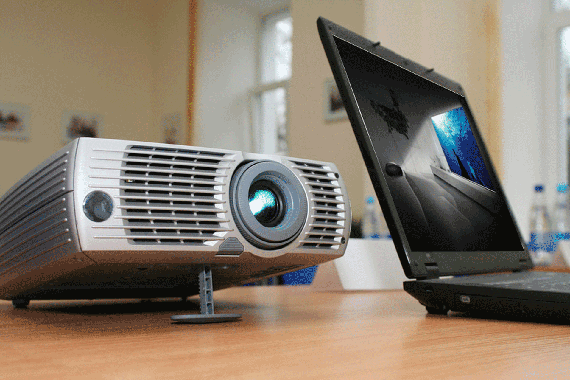 Whether it’s a projector or speakers, a flipchart or hot water urn, we have a number of meeting or office items you can borrow. Some carry a charge and others we are happy to loan you, as long as they come back in one piece! 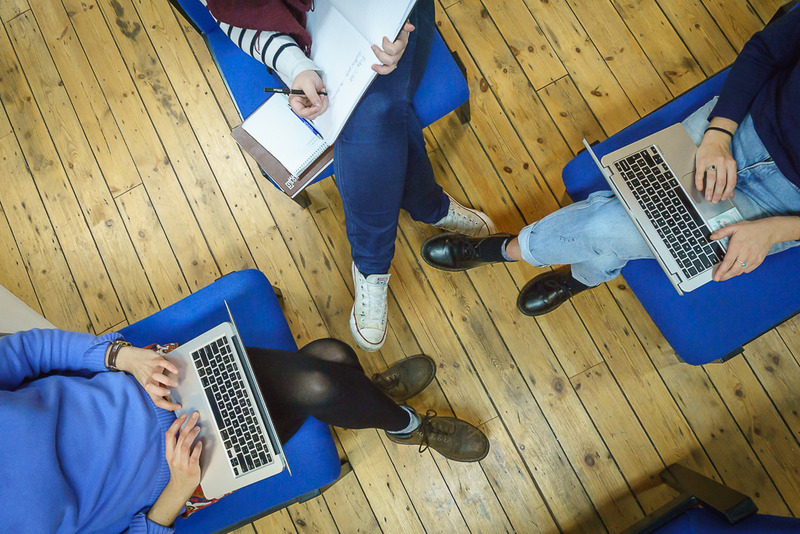 The majority of our offices and toilet facilities, and all of our meeting rooms, are accessible to guests with limited mobility, including wheelchair users. We have a lift to all floors. Our conference room is fitted with an induction loop. Whether it’s a builders brew or earl grey, rooibos or wild berry tea, instant or proper coffee all our tenants can drink their fill of free tea and coffee, all day every day. Bridge 5 Mill is a friendly community. Together, we organise regular socials including a summer barbecue and winter party. We’ve even held a ceilidh and a table tennis World Cup competition. Oh, and we have regular drinks, in the mill after work, too! Fancy a sociable lunch break? 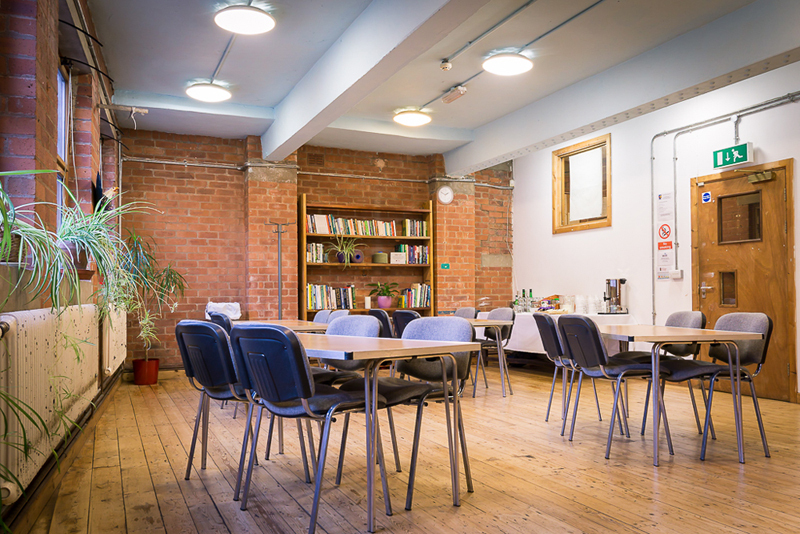 Our tenants' kitchen has a kettle, microwave, toaster and fridges plus a large table for a chat while you eat. 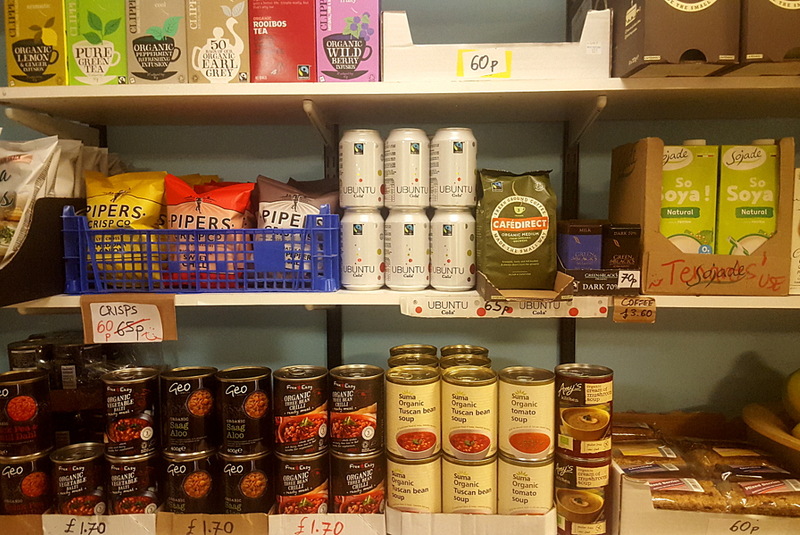 It also features a well-stocked tuck shop with a variety of vegetarian light lunch items, as well as fruit and snacks. Gluten free and vegan treats are available too. As a sustainable centre we encourage our tenants to cycle and have bike storage to the front of the building. By arrangement tenants are offered use of lockable cages for storing items in the mill's 'batcave' (an atmospheric cellar!). It was possible to reclaim almost all of the timber needed for the refurbishment of Bridge 5 Mill. Tongue and groove floorboards, and stud work for the internal walls (4x2, 4x1, 3x2,etc.) was sourced from local reclamation yards. This arrived in varying states and a fair amount of work would at times have to be put into de-nailing and cleaning up the wood before it could be used. This can be quite a long laborious job so it was important to vary the tasks for trainees between this and more skilled interesting work. We have a beautiful turf roof covering our straw bale bench in the front garden of Bridge 5 Mill, it's a great spot for a sunny lunch break by the canal. 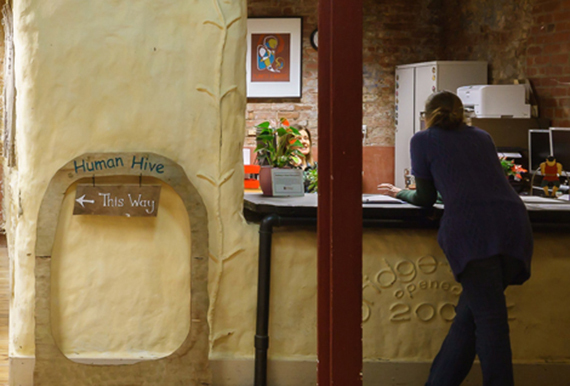 When you come into Bridge 5 Mill the first thing you will notice is the thick walls of our straw bale reception. Straw bales are possibly one of the most insulating building materials that you can use. Straw also has advantages of being a renewable material, of having a very low negative environmental impact generally, and of being low cost. The idea would usually be to build a whole building out of straw bales. MERCi did not have the land to undertake this type of project, but felt that it was important to have a demonstration of this method of construction. So it was decided to build one of the internal rooms using only straw,reclaimed wood (for the flooring), chicken wire (for the windows and doorway) and adobe to coat the straw. Adobe is a clay substance used to protect the straw bales from getting wet and damaged (and eaten! 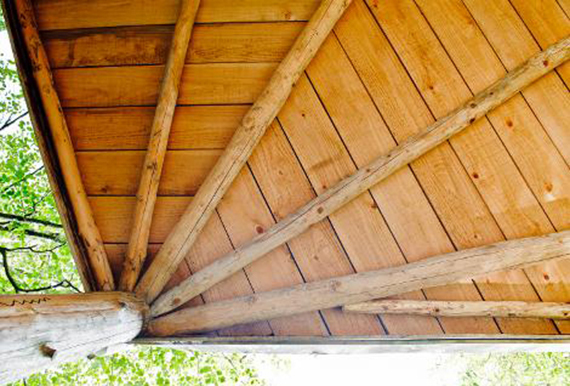 ), but that is breathable - letting moisture in and out of the structure. The straw bale reception in Bridge 5 Mill is probably the most visually interesting part of the building structure. 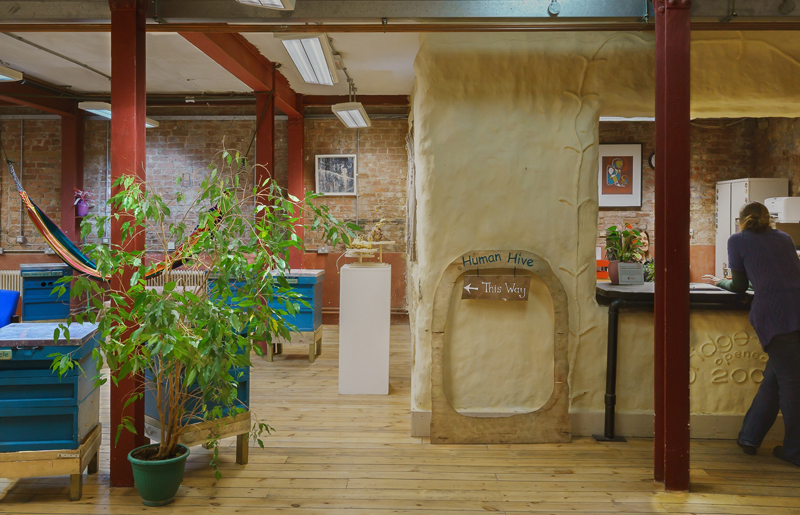 It is a room with rounded walls and a big open reception window, with patterns created out of the adobe that has been used to cover the straw. MERCi sourced its straw bales from a local farm, and asked the women’s co-operative Amazon Nails to run a practical training course on straw bale construction (as part of the second Building Equality course). Restraint in all energy use (an obvious first step). Re-fuelling the whole human endeavour, in favour of hydrogen, whose combustion produces none of the harmful effects of coal, oil and gas. Such hydrogen would be generated from water (H2O) using excess electricity from sun and wind power. 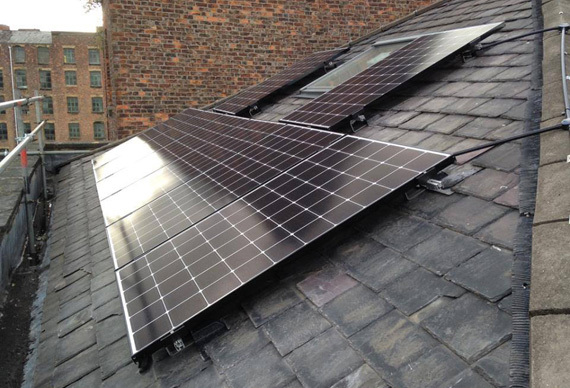 Promising projects are already in operation all over the world, including in the UK. Retrieval of the growing excess of carbon dioxide from the atmosphere, and its safe and permanent immobilisation. Rethinking Economics is an international network of students, academics and professionals building a better economics in society and the classroom. Through a mix of campaigning, events and engaging projects, Rethinking Economics connects people globally to discuss and enact the change needed for the future of economics. 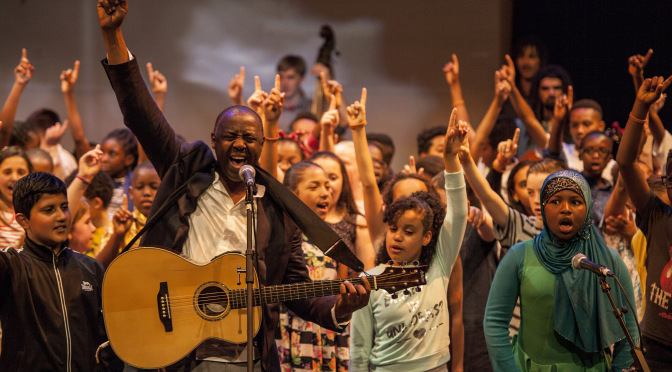 The WEA North West region provides stimulating and diverse learning opportunities for adults, often targeted at some of the most deprived communities. 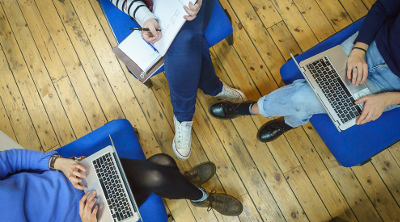 Our courses dramatically improve confidence as we re-introduce people to study and encourage active engagement with their own needs and those of their community. Manchester Carers Centre is a local, independent charity, delivering a range of a high quality support services to meet the needs of unpaid Carers from all diverse communities in Manchester. We offer a range of practical and emotional support services that make a positive difference to carers’ lives. We provide FREE community services for carers in Manchester this includes: information and advice, emotional support & practical help, Community drop-ins to meet other carers, Breaks & social activities and Access to grants and training. 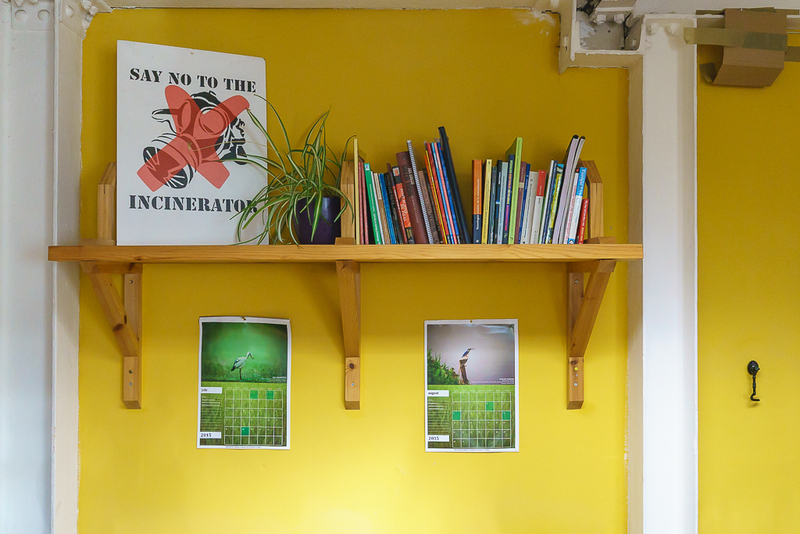 The Kindling Trust is a grassroots social & environmental change organisation based in Manchester. 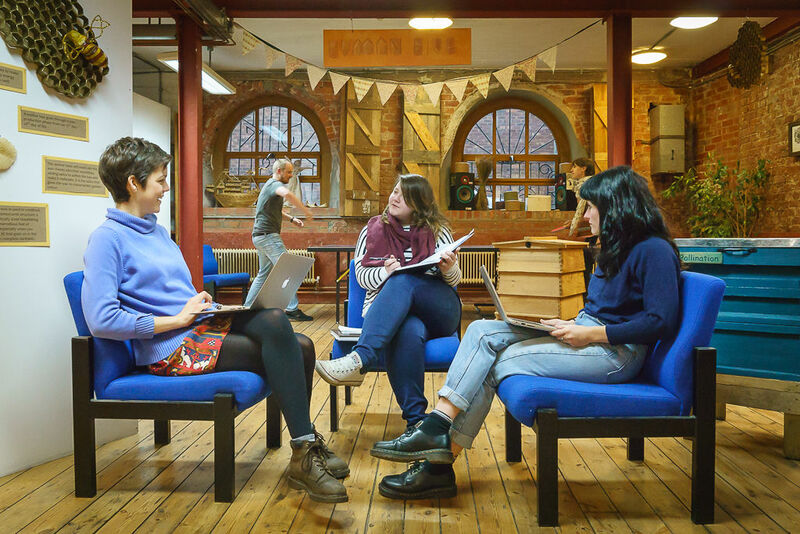 Our work is largely based around food; establishing and supporting progressive initiatives within Greater Manchester that are not only helping to transform our city’s food system, but which also demonstrate the potential for a radically different way of doing things. 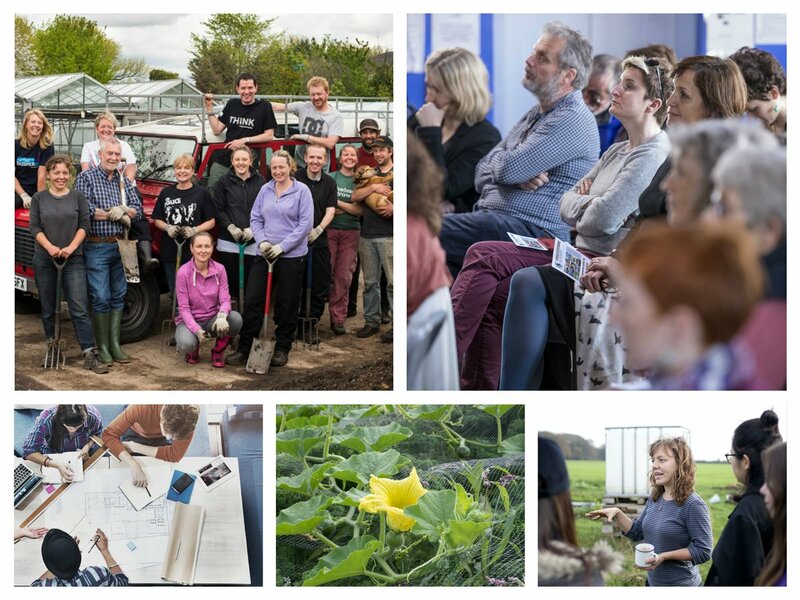 Join us volunteering on a local organic farm or attend one of our Feeding Manchester events. 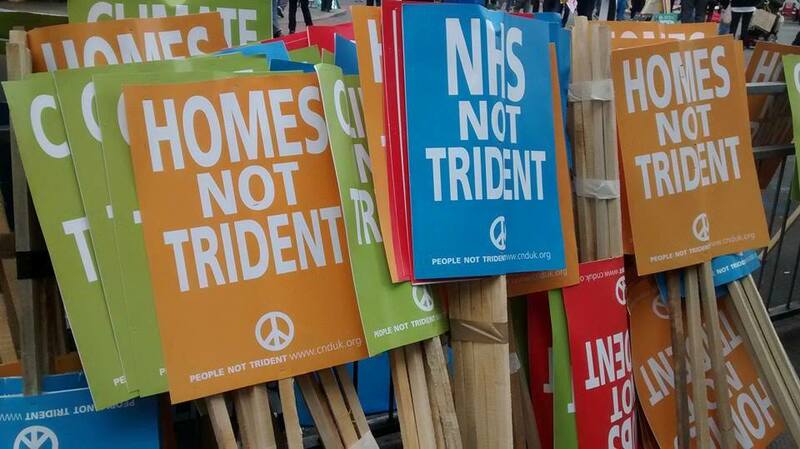 Greater Manchester & District Campaign for Nuclear Disarmament (GM & D CND) campaigns to rid the world of nuclear weapons and other weapons of mass destruction and to prevent wars where nuclear weapons might be used. GM & D CND will continue campaigning until, at the very least, Britain has got rid of these weapons and a global abolition treaty is negotiated. Our mission is to integrate into education and learning the knowledge, skills and values needed for a sustainable way of life through networking, projects and influence. 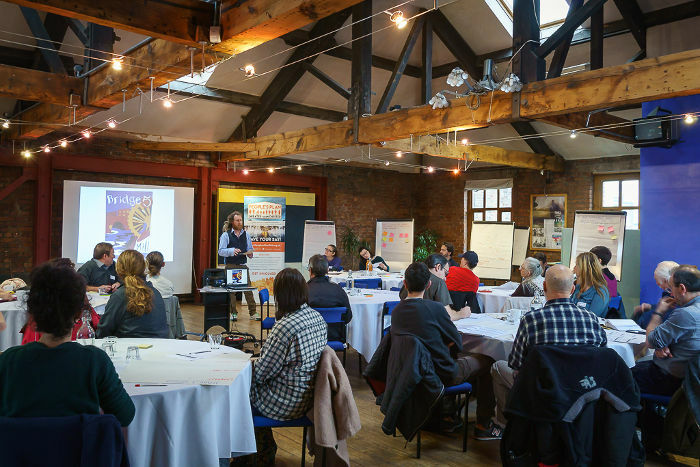 We host the Greater Manchester Education for Sustainable Development forum for educators based outside schools to share knowledge, practice and policy. We support an Eco Coordinator's network which runs regular twilight sessions for teachers and TAs delivering sustainability in schools. 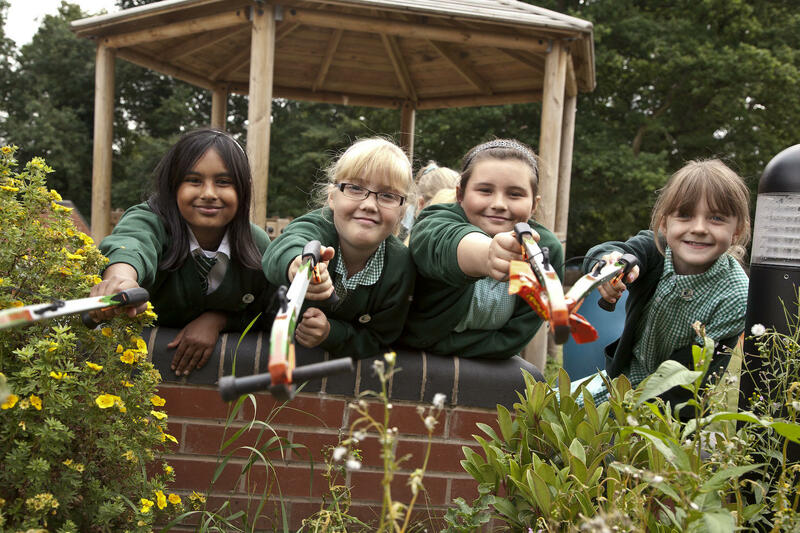 MEEN also has a variety of projects working with schools, runs CPD training and offers exciting sessions for young people. 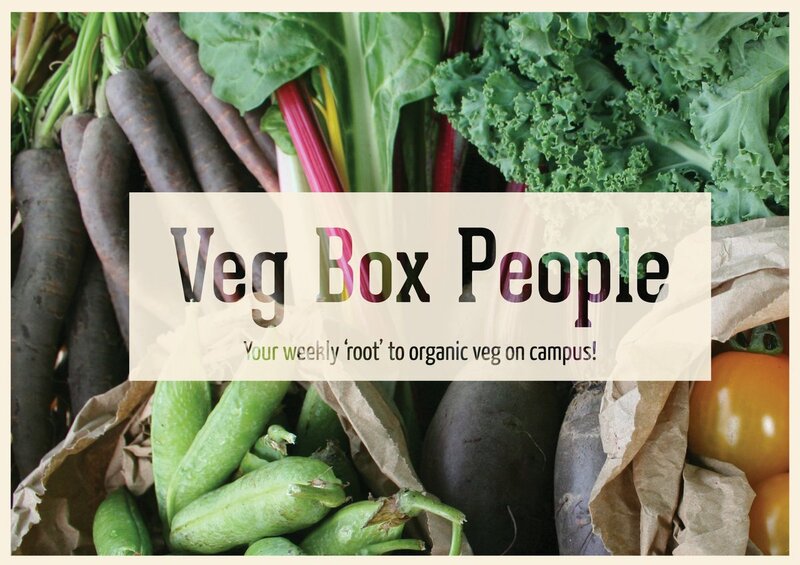 Manchester Veg People play a unique role in the sustainable food revolution. We are a Manchester based co-operative working with local organic farmers, restaurants, cafes, and public sector organisations. We can provide you with the highest quality, most locally grown organic produce available. 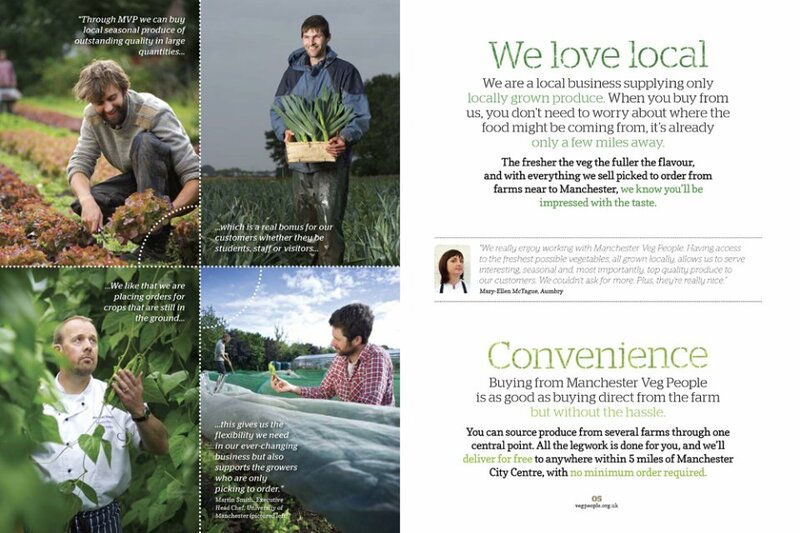 Our vision is to establish a local organic food supply network in Greater Manchester. This is borne out by our everyday activities, selling local, organic produce to the Public and Private Sectors. Simply put, we source & deliver exceptionally fresh, locally grown organic produce. 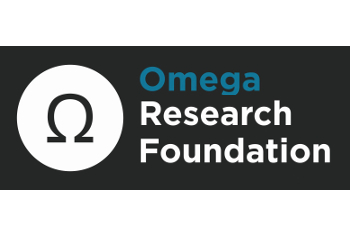 The Omega Research Foundation is an independent UK-based research organisation. We undertake research into the manufacture, trade in, and use of, military, security and police technologies worldwide. This research is used to develop and monitor effective trade controls and standards on the manufacture, trade, and use of military, security and police equipment; hold governments to account; challenge questionable exports of equipment; educate policy makers, journalists & human rights monitors; and aid in seeking redress for torture survivors. We hope to create a more sustainable Manchester by improving the food system for everyone. We support small-scale organic food growers by giving them regular demand and a fair price for their produce. We support our customers, by providing them with a nutritious bag of fresh, organic, locally grown veg. 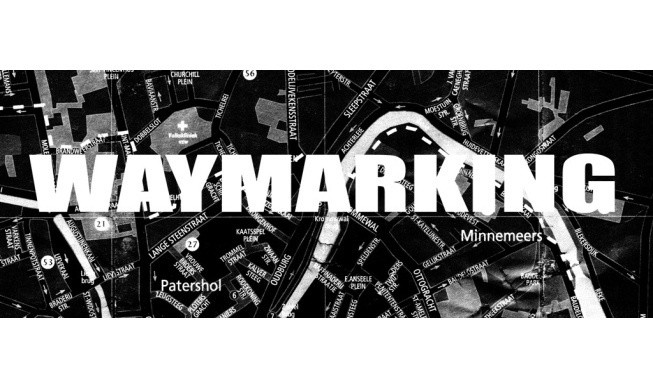 Sarah Spanton is director of Waymarking, an arts and regeneration consultancy. 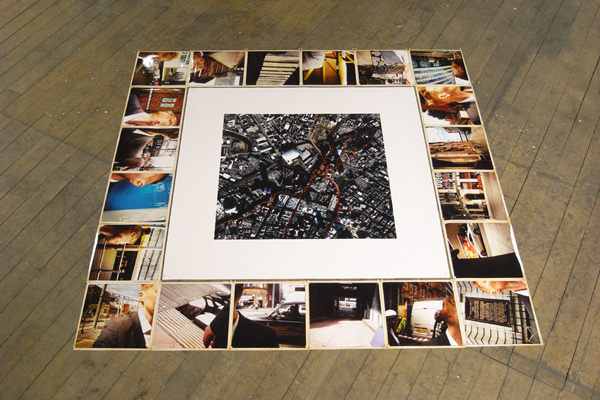 Asking the question what are the futures of cities and how will we all live together? - she undertakes research, facilitation and projects actively modelling, sharing and embedding ideas and approaches. Her work focuses on social, economic and environmental justice and change, in partnership with communities, institutions, organisations and businesses. 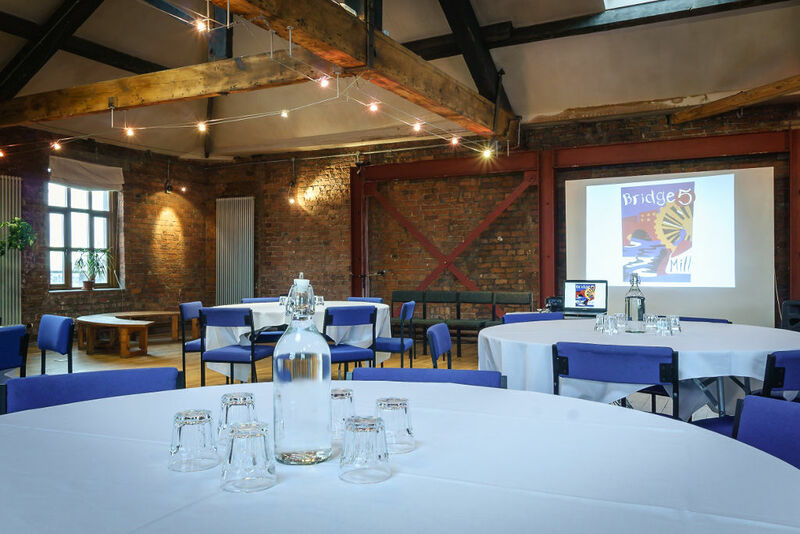 If you would like to use Bridge 5 Mill for your event, conference, exhibition or meeting get in touch by clicking on the button below and filling out the form. Bridge 5 Mill was refurbished using as many sustainable building practices and materials as possible. In line with this ethos there are lots of recycled and repurposed items around the mill; our reception top is a piece of slate that used to be the top of a snooker table, from the times the building was the Ancoats Lads Club, and our bins are made from leftover metal from the roof of the Lowry Theatre in Salford. 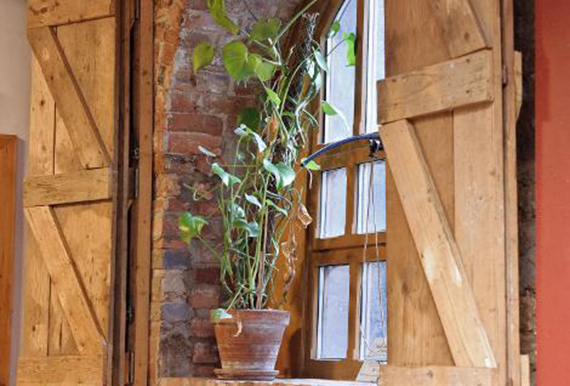 For more information on our sustainable features at the mill click on the images below. We also manage the building day-to-day with the environment in mind. You can find out more about how we do this in our sustainability policy. It was possible to reclaim almost all of the timber needed for the refurbishment of Bridge 5 Mill. Tongue and groove floorboards, and stud work for the internal walls, were sourced from local reclamation yards. This arrived in varying states and a fair amount of work was needed to de-nail and clean up the wood before it could be used. 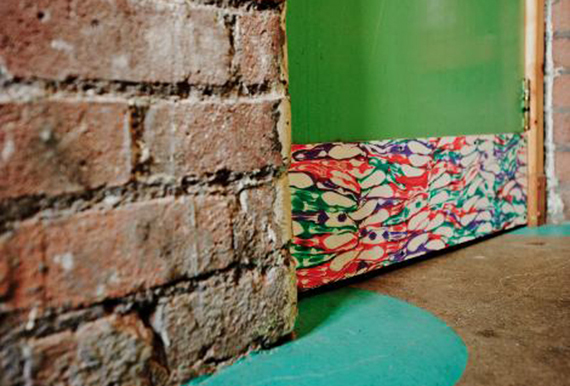 Some of the most stunning features in the building are made from wood, including the shutters in our Exhibition Space. 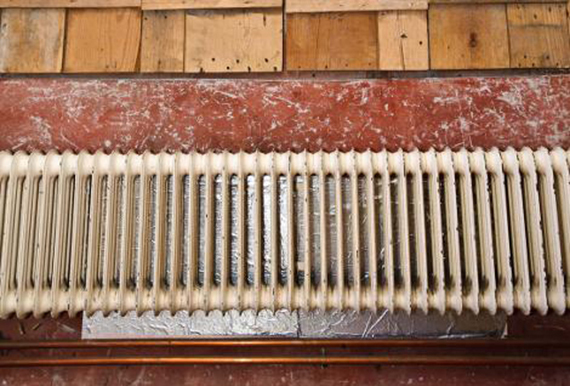 Various materials were found in the building that could no longer perform their original function, but that could undergo a change of use rather than become waste. 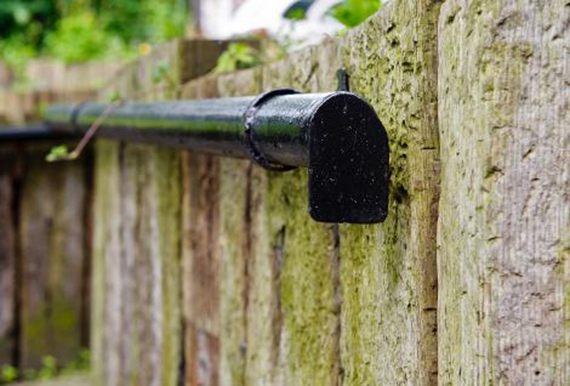 Our hand rails in the front garden are repurposed from old heating pipes that once serviced the mill. 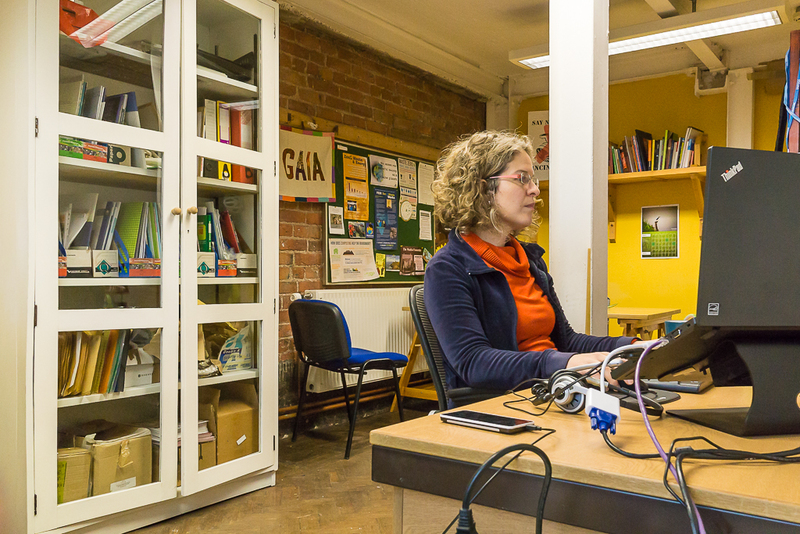 Bridge 5 Mill Centre for Sustainable Living is a hub and resource for groups, organisations and individuals working towards a more sustainable future, by this we mean a future that is greener, safer, healthier and equitable. 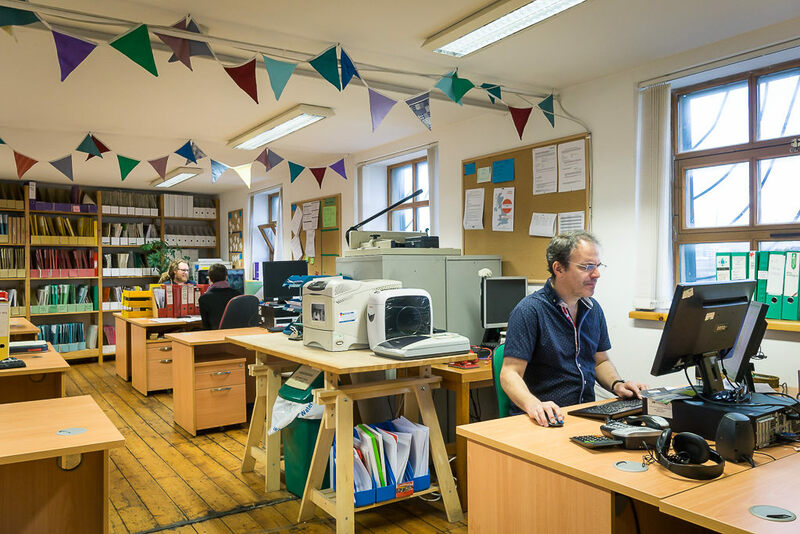 We aim to be an example of how it is possible to work in a sustainable, collaborative and ethical way. The refurbishment of Bridge 5 Mill was undertaken using as many sustainable materials and building practices as possible and we consider our environmental impact in the day to day management of the building. To see our full Sustainability policy click here. 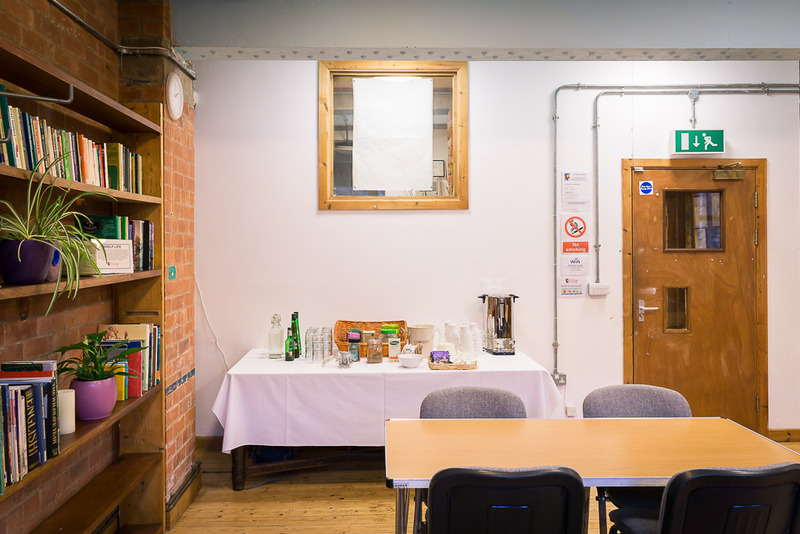 Our conference and meeting rooms are hired out on a sliding scale; private and statutory organisations who hire our spaces at a commercial rate play a large part in our being able to subsidise charities, community and campaign groups to use them at a price they can afford. 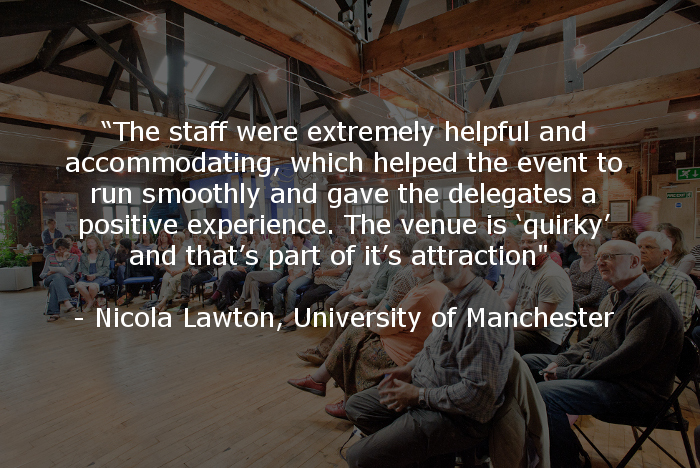 Some private companies use us for their conferences and as a training or staff away-day venue as part of their fulfilment of their Corporate Social Responsibility Objectives. We are a Living Wage Employer (LOGO) and seek to procure goods and services from other companies who also pay a Living Wage. 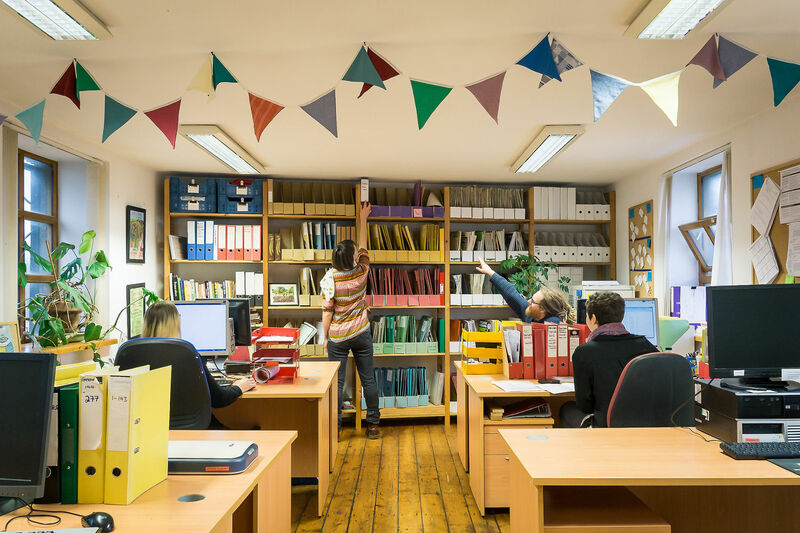 As well as providing conference and meeting rooms, we have a number of offices and are home to a range of charities, campaign organisations and social enterprises. 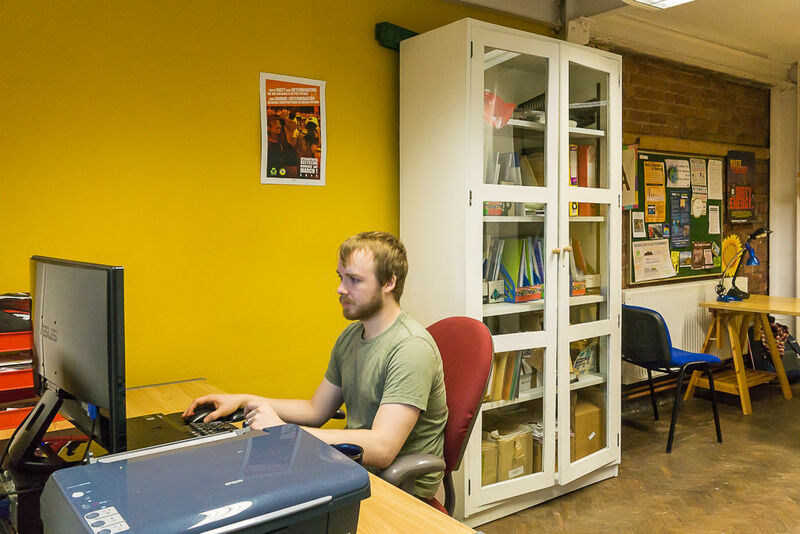 We offer affordable rent and meeting spaces, and also provide reception support, as well as staff members giving business, accountancy and campaigning advice. 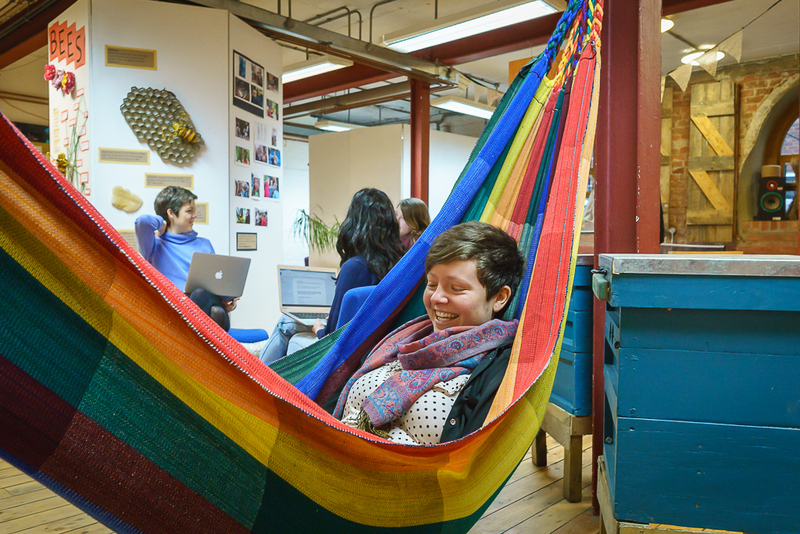 Through this we aim to build a supportive, collaborative co- working environment. The mill is owned by the environmental charity the Fairfield Environment Trust (FET). All profits we make go back into the trust to further their aims. These include supporting other charities, campaign groups, social enterprises and cooperatives through grants and advice. 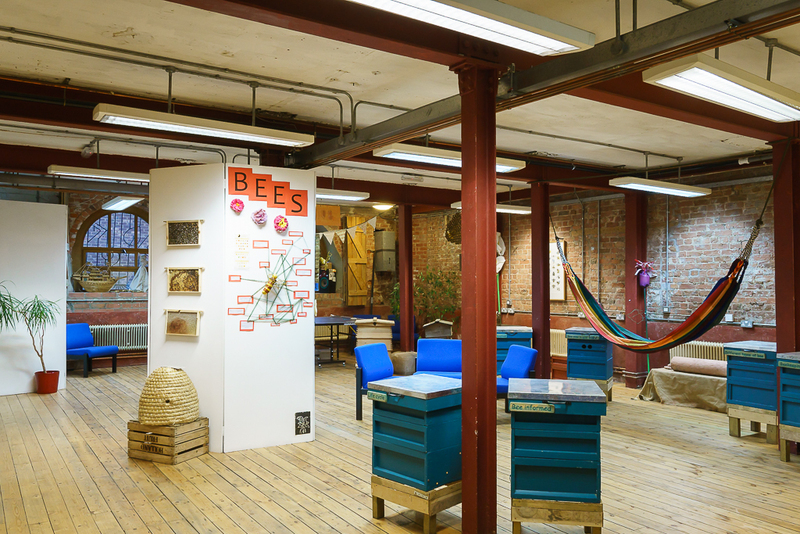 Bridge 5 Mill was established and refurbished by a dedicated group of people who had a vision for a centre in Manchester which could be a hub and a resource for groups, organisations and individuals working on environmental and social issues, that would be a base and also an example of these ideas in action. Two of those people, Helen Woodcock and Chris Walsh, are still involved today. 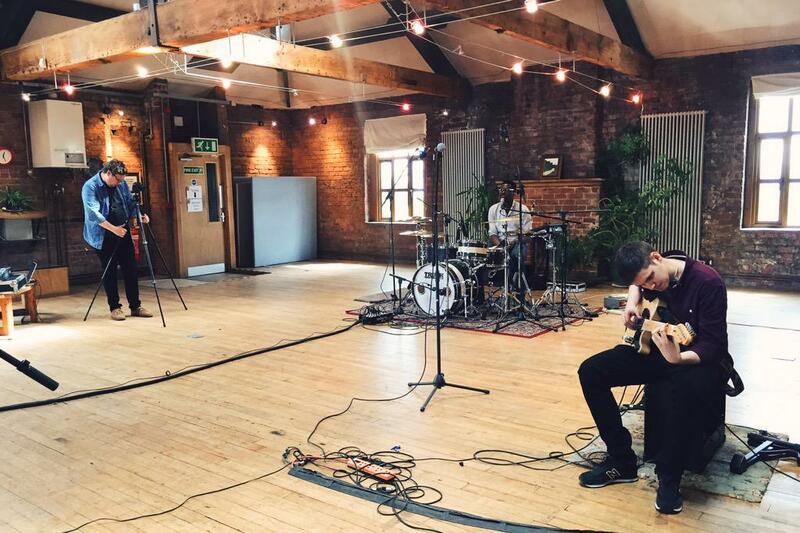 The original project was called the Manchester Environmental Resource Centre Initiative (MERCi) and was established in 1996 as an independent charity. 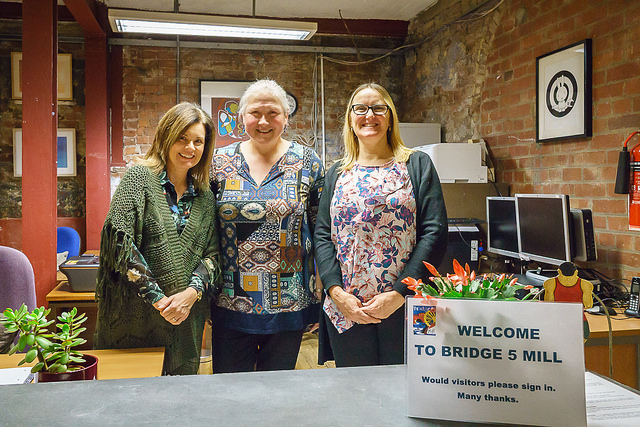 MERCi found and purchased Bridge 5 Mill and refurbished it with the help of grants from the European Regional Development Fund, a private trust, The National Lottery Community Fund and the Esme Fairburn Trust, and later the Tudor Trust and Comic Relief. The Mill was refurbished using many reclaimed and recycled materials, eco paints, no pvc, water saving measures and low energy fittings; New Deal apprentices from the local community, 'Building on Equality' participants (a green construction course for lone parent women) and many volunteers, led by professional craftspeople who shared their skills. 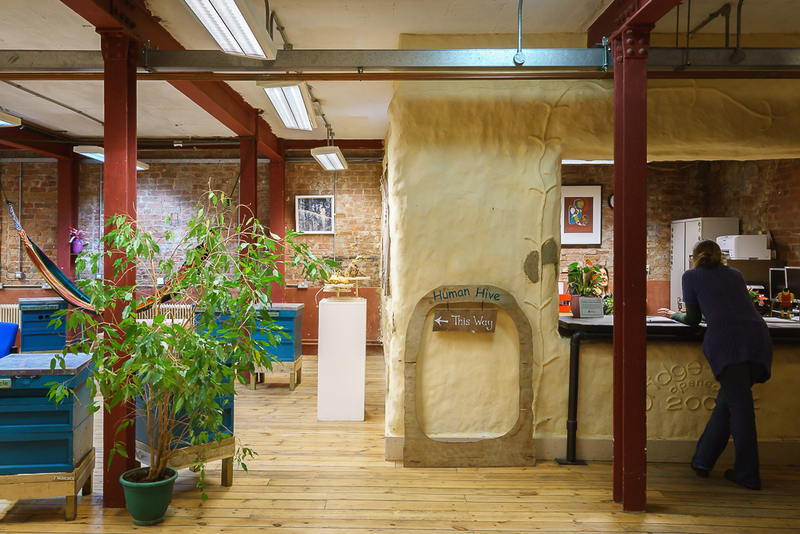 When it opened it was one of Manchester’s most sustainable buildings and Manchester Civic Society acknowledged this in 2001 when Bridge 5 Mill won the award of Manchester’s most energy efficient building. After the initial refurbishment of Bridge 5 Mill, MERCi focused on three key areas of project work: community, education and enterprise. 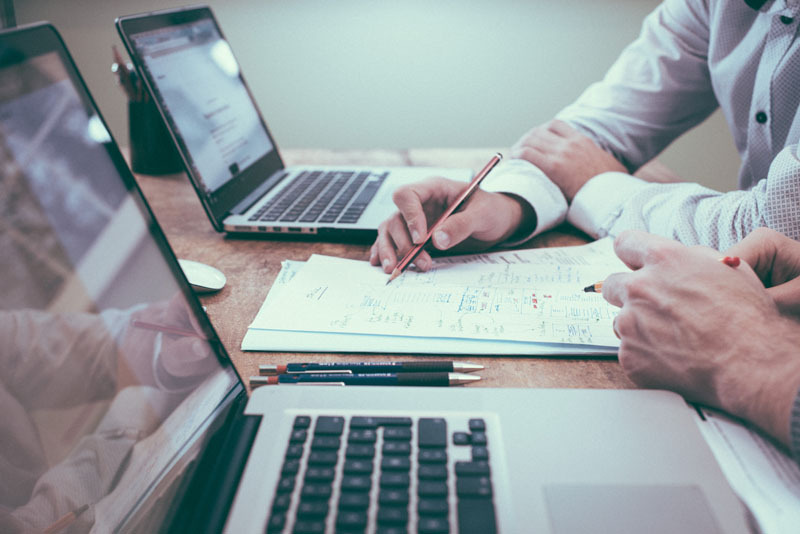 Sustaining Change: a project which offered specialist support to businesses, to help them implement sustainable practices into their business strategy. The project specialised in benchmarking organisations under eight key areas of sustainability. 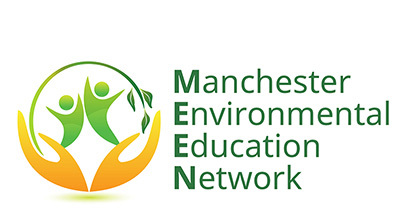 The Environment Network For Manchester (EN4M) was formed by MERCi to give a voice to the environmental groups of Manchester. Its’ members were involved in a wide range of activities and issues, from wildlife conservation, renewable energy and pollution, to parks, open spaces, recycling and growing organic food. The Kindling Trust (our sister organisation) still manages the EN4M Facebook group and Bridge 5 Mill actively promotes environmental groups and their activities through our own Facebook page and Twitter account. 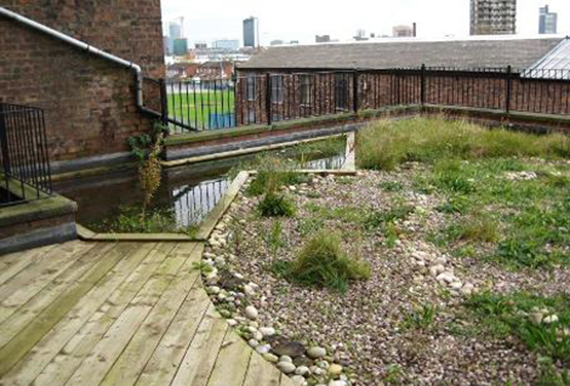 Sew Sow: an educational project to use brownfield sites across Ancoats, to grow flax which was processed to create an organic, local, sustainable material. 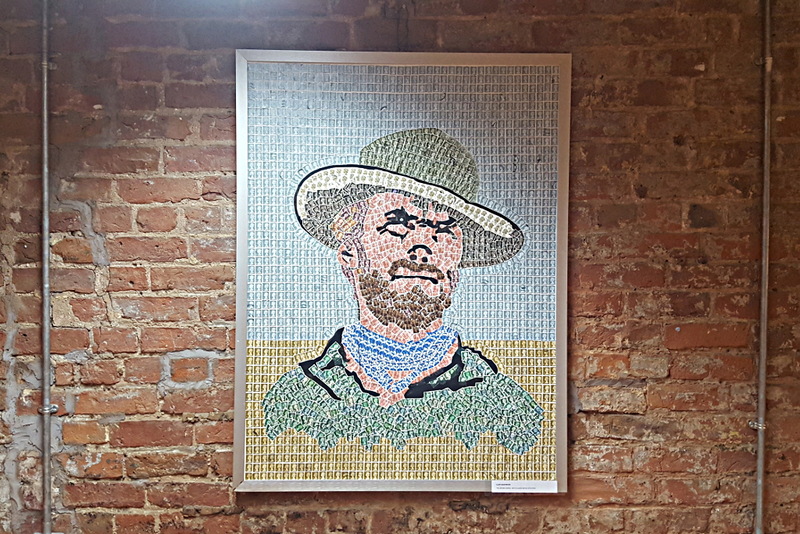 The project culminated in an exhibition by local crafts people who used the yarn and material to make pieces; from wall hangings to bags, sculptures to cushions. Herbie has been one of the success stories from MERCi. Starting life as a project funded by Manchester Public Health and Target Wellbeing the mobile greengrocer has the aim of providing affordable, fresh fruit and vegetables to residents living in areas of East Manchester with poor access to fresh foods. 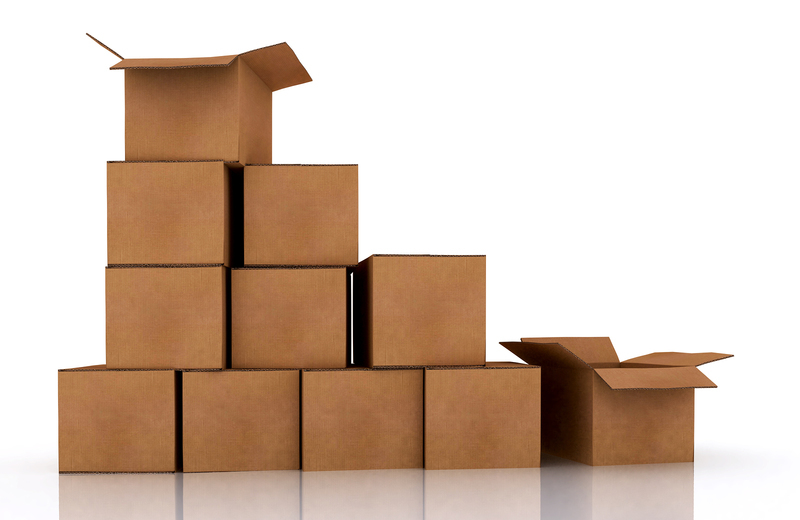 Herbie also supplies boxes of fruit to schools and projects, and works closely with sheltered housing, churches, health clinics and resident groups to ensure that it reaches as many people in the local community as possible. After the initial funding period Herbie has been so successful that it has fulfilled its aim to break away from MERCi and become a self-funded social enterprise. 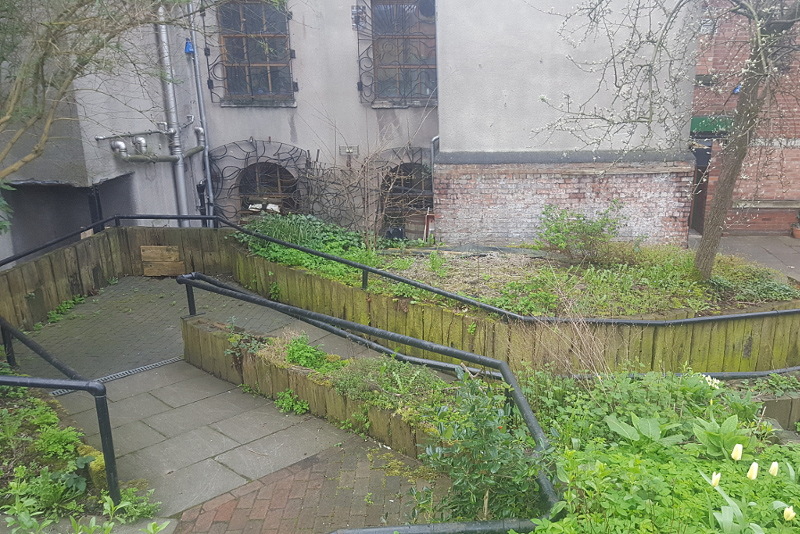 Connecting to the local community is also important to us and outreach has included an ‘In Bloom’ competition and assisting local residents to set up and run a community garden. We continue to support local groups by publicising events, hosting fundraisers and offering affordable space for meetings and exhibitions. In June 2016 MERCi merged with the Fairfield Environment Trust, a local charity who we had been working with unofficially for some time. During the year MERCi was gradually wound down. Bridge 5 Mill is now a company in itself and is part of the Fairfield Environment Trust group, which also includes Fairfield Environment Services; a waste and recycling company and The Kindling Trust, a not for profit social enterprise with charitable aims, whose current work is based around food (production, consumption and activism) as a vehicle for tackling some of today’s most pressing social, economic and environmental problems. Bridge 5 Mill continues to build on our reputation as a hub and resource for local, national and international organisations working in the areas of the environment and sustainability for people and planet. 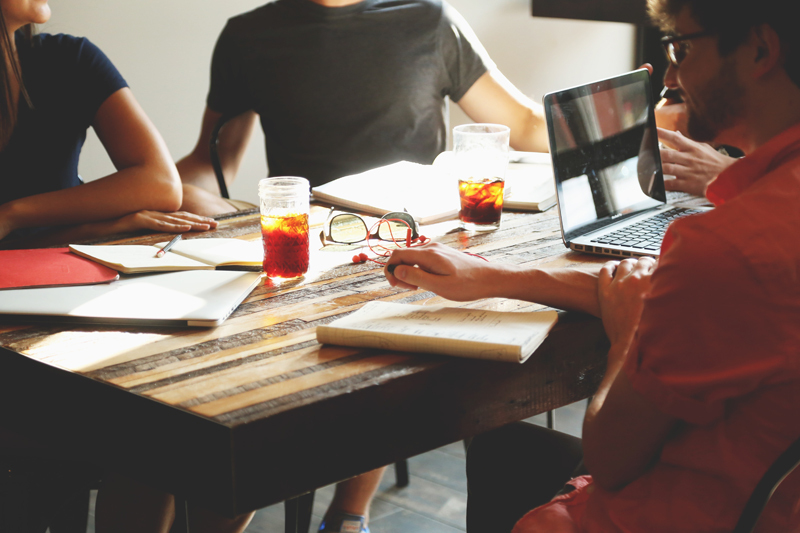 Does your company have Corporate Social Responsibility aims in the areas of sustainability, the environment or social issues? 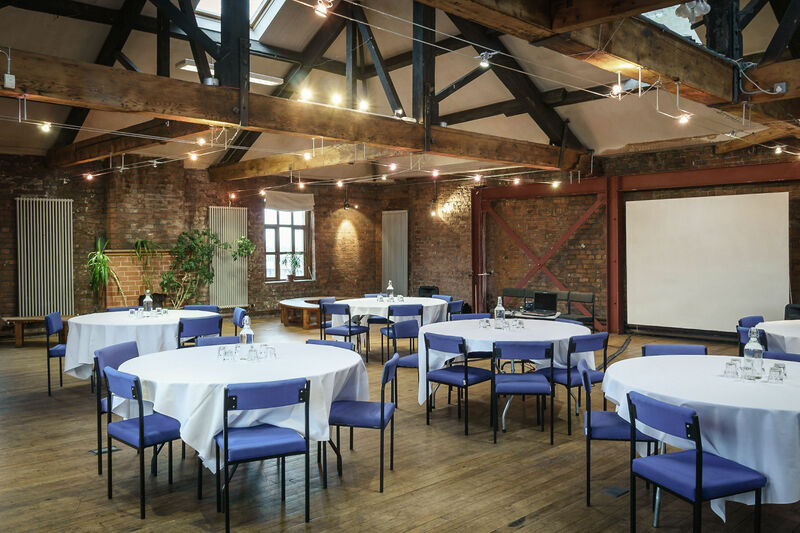 Using Bridge 5 Mill for your conference, workshop or event would show your support for our sustainable venue and could fulfil your CSR aims. 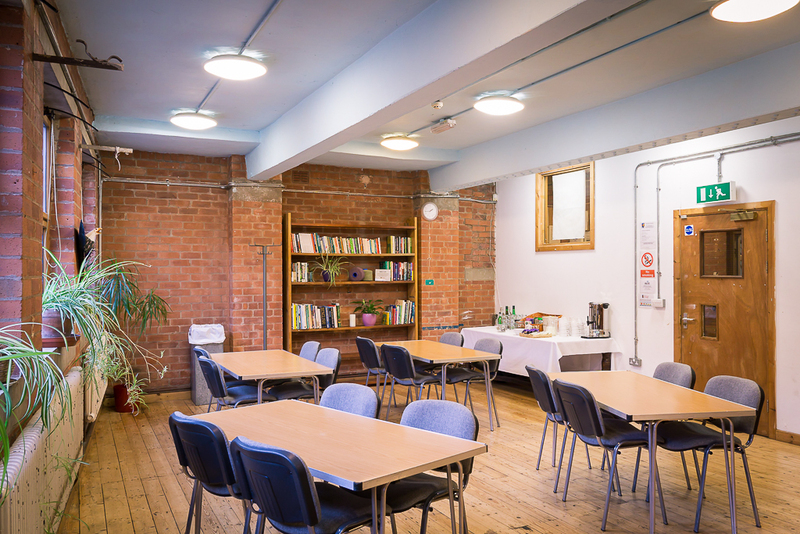 Choosing to book one of our rooms means that we are able to offer our spaces at affordable prices to local community and campaign groups and small charities on a low or no cost basis. 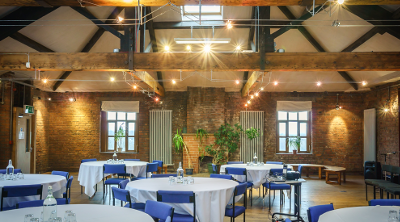 When holding your event at Bridge 5 Mill we can also help it be more sustainable through our sustainable and ethical purchasing policy. This includes the catering we provide as well as stationary and other resources needed on the day. These smiley people are our staff members, Margot (Events and Social Media Assistant), Ingrid (Finance Officer) and Michelle (Manager). They will be here greet you when you visit as they are based in Reception. Say HI to them!